Limited Edition and Original artworks crafted to life by world renowned nature photographer Craig Parry and Australian artist Warren J Fox. 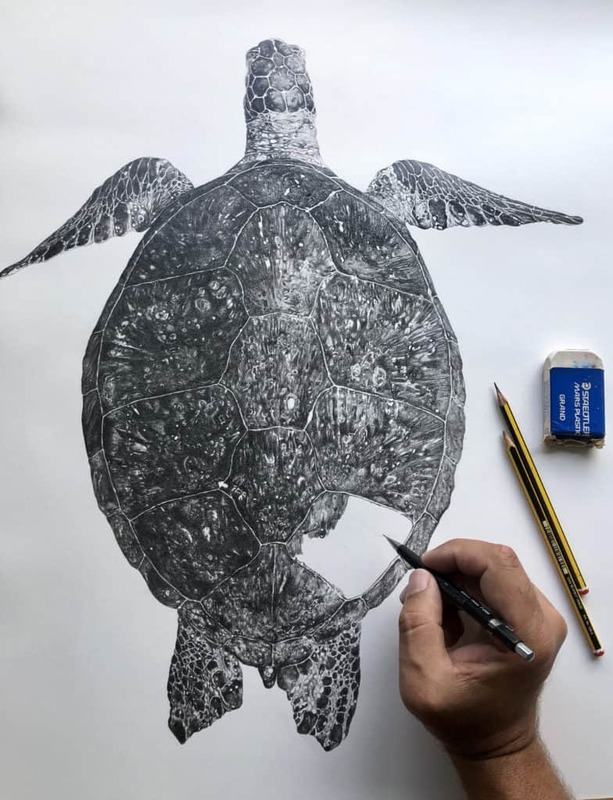 Merging the two mediums, photography and illustration, the duo have created a rare collection of oceanic and nature artworks, striving to bring greater awareness around the impact, we as humans, have on the world around us. READ ON…..
Two of Australia’s finest artists have joined forces to create a collaborative art project. The idea to merge the two mediums of photography and illustration, has resulted in a vision titled: PROJECT ‘PAIKEA’. 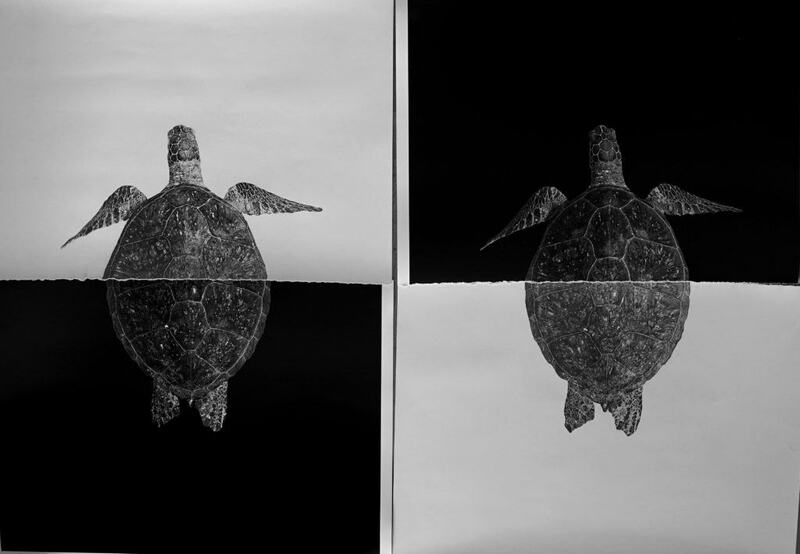 Born from a desire to bring awareness to the impact humans have upon nature and its creatures, the series successfully seeks to push the boundaries of art and its subject matter. In doing so each artist was required to break away from their own established concepts around photography and illustration, only to dive deeper into their own respective artistic fields. “I am incredibly proud to have partnered with Warren to create this exciting series of Original and Limited Edition artworks,” said Craig. “Witnessing the transformation of each image and having the opportunity to step outside the traditional constraints of any artistic medium is always a pretty special process. Challenging commonly held perceptions is the only way change can occur and by inviting audiences to join us in deconstructing traditional notions and presentations of photography, illustration and nature we feel that we have created the opportunity for reflection and conversation”. 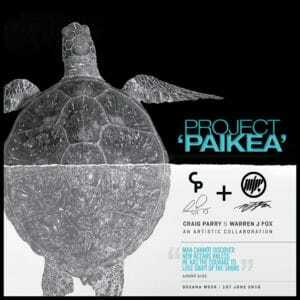 Project ‘Paikea’ has its foundation within the ‘Two Originals’ – a concept created by Warren J Fox. Together Craig and Warren carefully selected a series of Craig’s award winning images which they felt would captivate and engage audiences, connecting them to the purpose of the project. Using the photography, Warren referenced the images to embark on the illustrating journey, creating the first set of Original artworks. The first in the collection is based on ‘Honu’ (Green Sea Turtle). Over a period of around 100 hours the illustration came to life, with the final piece holding true to the depth and detail of Craig’s photographic image. The next step was to overlay the illustration with the original photograph. Warren’s focus was to then ‘let go’ as he ripped the two artworks in half, a process which whilst perceived as deconstructing and somewhat destroying, in fact birthed two entirely new artworks – two original pieces which demand a breathtaking, new found respect for art. Continuing on the momentum, Warren has also created 10 Limited Edition pairs. Each of these was created by taking a print of his original illustration, as well as a smaller print of Craig’s photograph, overlaying them and ripping these in half to create a Limited Edition from the Original Artworks. The next in the series is the ever popular Leopard Shark. Same approach, yet ripped vertically, to compliment the contour of this beautiful creature gliding through its own domain. The full process of creation can be viewed HERE. The final result of the collaboration consists of four subjects. The Sea Turtle, The Leopard Shark and the final two to be announced in the coming months. Each subject has two Originals, equalling eight in total. Each Original work has been created using Fabriano 250gsm stock, with the completed composite image presented within a carefully hand crafted frame produced from furniture grade hardwood timber. Each subject also then has ten smaller Limited Edition artworks available, each sized at A2 and sold together as a pair. Each Original and Limited Edition artwork comes with its own Certificate of Authenticity, an Engraved Signed Plaque – Gold style for the Originals and Silver for the Limited Editions. The first pieces in the Original and Limited Edition series will be launched in Craig’s Gallery in Byron Bay on Saturday evening (26th May 2018). The remaining artworks will be released in the coming months. Each is available for purchase. We encourage expressions of interest to Contact Us for further information. Both Craig and Warren are delighted to announce the launch of Project ‘Paikea’. To celebrate the occasion, the duo will be donating funds from the sale of artworks to support the work of Australian Sea Bird Rescue, an organisation whose strategic objective is to reduce the human impact on wildlife through rescue, research and education. Craig Parry is a multi award winning oceanic and nature photographer of international acclaim, based in Byron Bay, Australia. His fine art photography offers a unique insight into the world around us. Primarily focusing upon marine and landscape imagery, subjects are presented in their natural environment in a manner which seeks to connect audiences with the environment. Portraying the obvious as abstract, Craig’s images are engaging and beautiful at the same time. As Sony Global Ambassador his work regularly sees him travelling to all corners of the globe in pursuit of new adventures and unique encounters, and he can often be found working with the likes of National Geographic, Discovery Channel and Travel Channel. For more information on Craig and his work visit HERE. “The more my illustrations became detailed the more i felt something was missing. The creative process, like many artists, would leave me wanting to destroy my art, and start all over again… This ever occurring feeling of deflation, gave birth to the ‘Two Original’ concept… ripping the final illustration in half to bring it to life. The idea was ballsy to say the least and the end result wasn’t an exact science. Ultimately it would be ruined and with no real purpose behind it, the art would have no meaning. Even then, was I really willing to rip it up? Kind of pointless as an art exercise with no ‘real intention’ to make something of it. Sitting with the idea, I wasn’t sure how it would make me feel? What was I trying to prove? With closed eyes, I ran through the process. Ripping up the illustration was becoming more and more crazy an idea, yet the idea kept on evolving… What if I overlaid the photography, same size and scale? Two separate art mediums – then rip it in half. Two pieces would merge, only to be ripped to complete a transformation of both artworks. For more information on Warren and his work visit his website HERE.